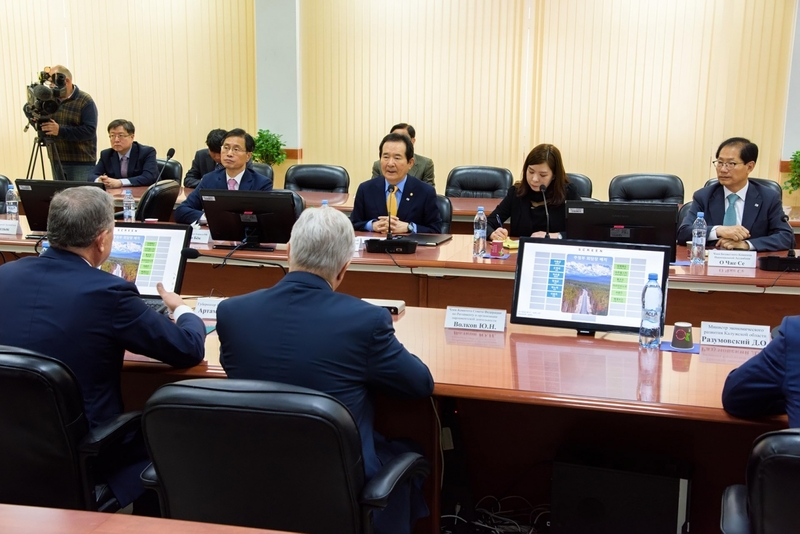 Delegation of the National Assembly of the Republic of Korea visited Kaluga Region on the 13th of October within the frame of its visit to the Russian Federation. 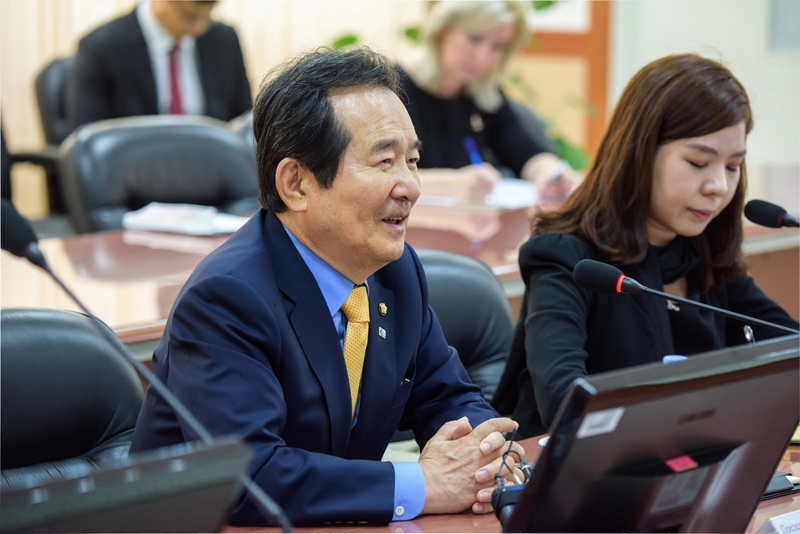 The delegation was headed by Mr. Chung Sye-kyun, Speaker of the South Korean Parliament. 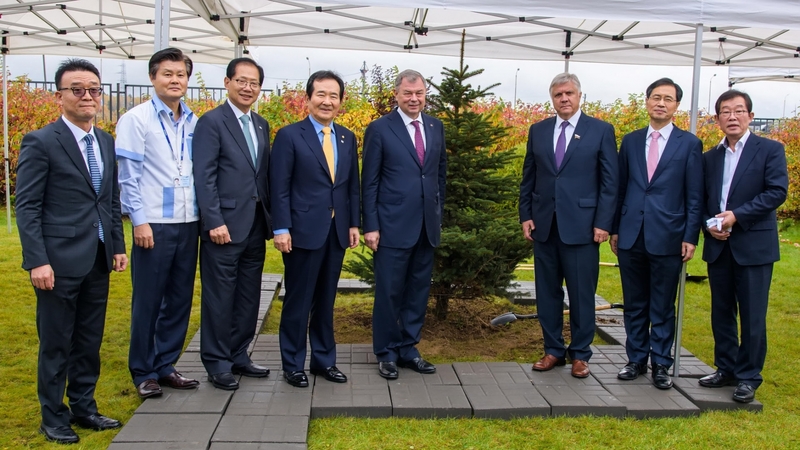 Mr. Park Ro-byug, Ambassador of the Republic of Korea to the Russian Federation, also joined the delegation. 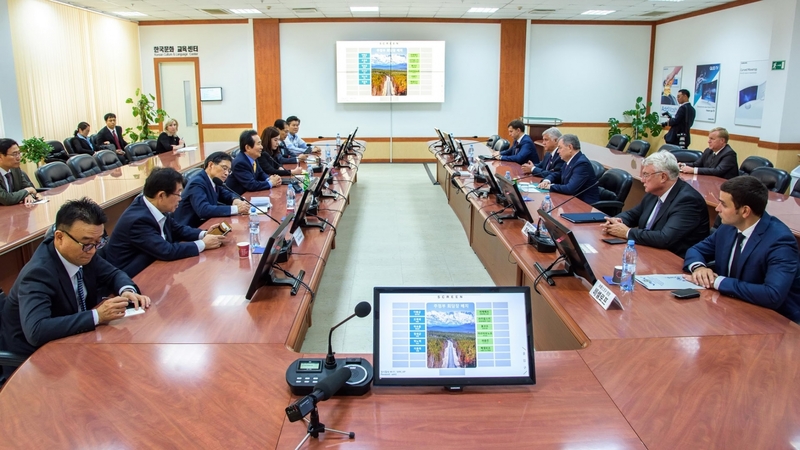 Honored guests made an information visit to Samsung Electronics Rus Kaluga LLC in Vorsino Industrial Park, Borovsk District, where they toured production sites and local wastewater treatment facilities of the plant. 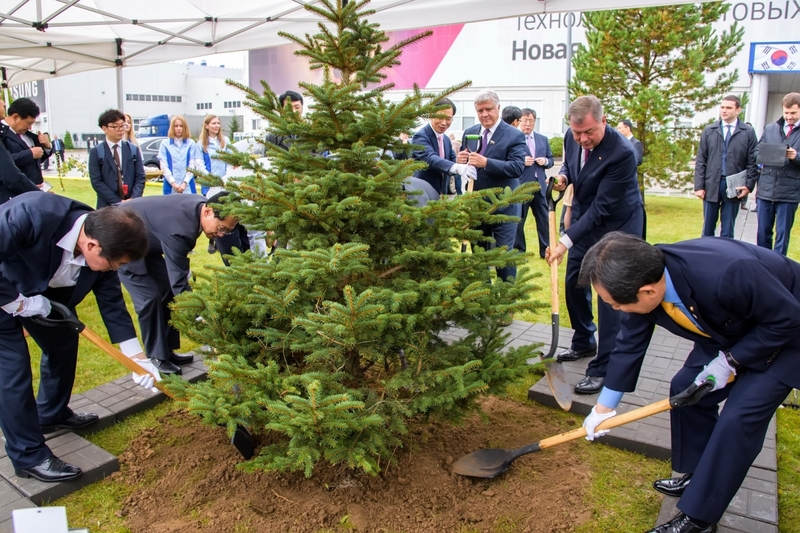 Together with Mr. Anatoly Artamonov, Governor of the Region, they took part in a planting ceremony of green fir tree at the site of the plant, which symbolizes friendly ties between Kaluga Region and the Republic of Korea. 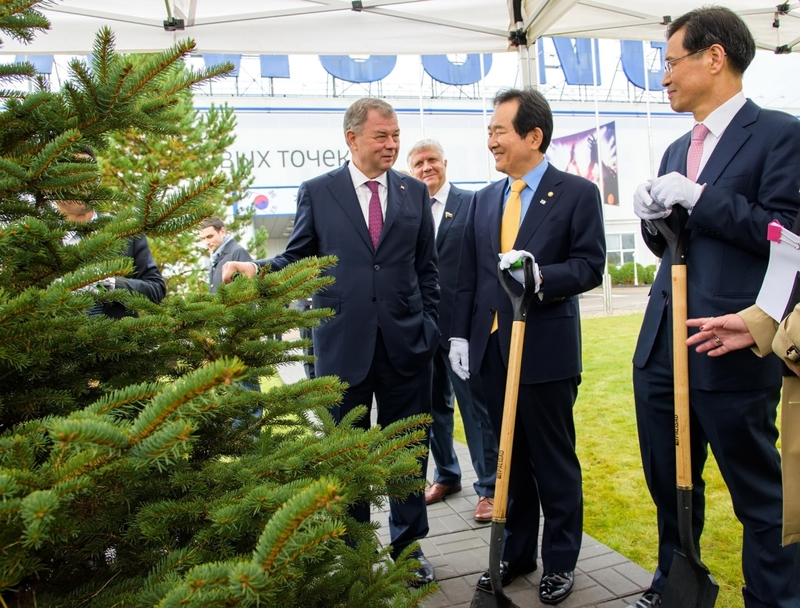 During the meeting, which was organized at the plant of Samsung Electronics Rus Kaluga LLC, the Governor thanked South Korean partners for their interest in Kaluga Region and for visiting “effective and modern production site of Samsung Electronics, where home appliances are manufactured”. 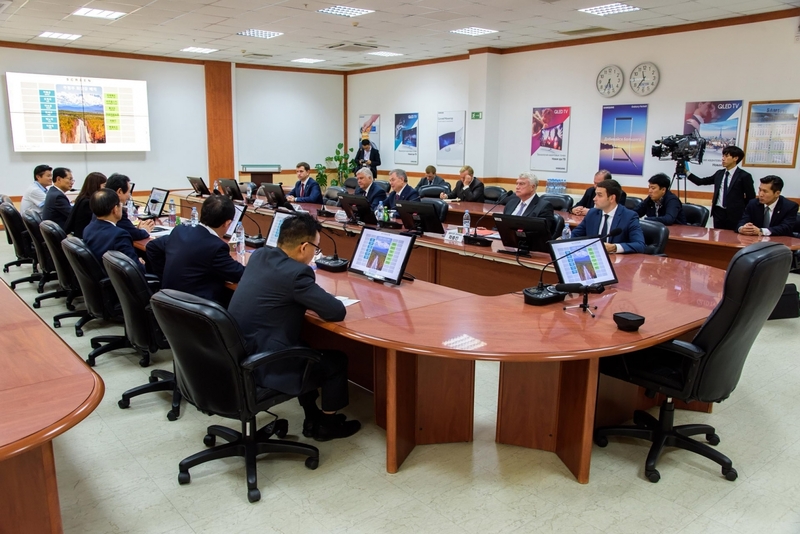 “Truly enlightened managers and engineers work at this plant, who constantly delight Russian customers with ever more advanced products”, - the Governor noted. He also drew attention to the fact that the volume of foreign trade between Kaluga Region and the Republic of Korea increases year on year. 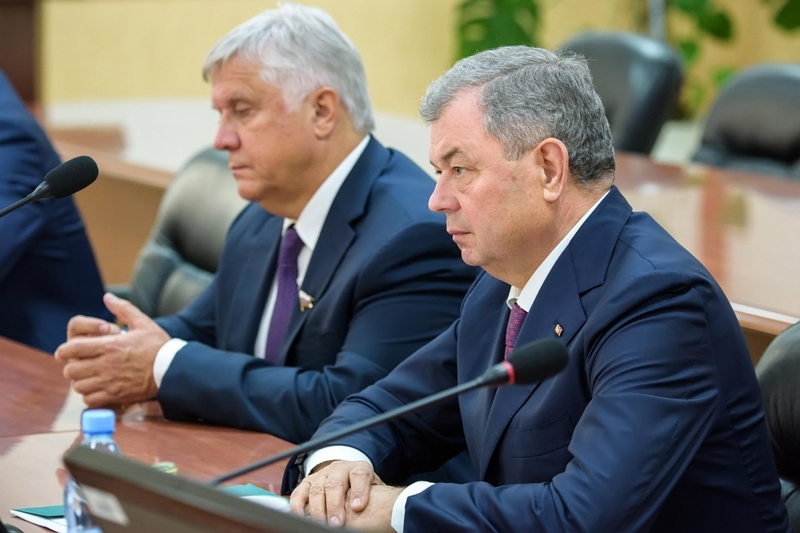 According to the Governor, it became possible due to the growth of the Russian economy and to the policy pursued by the President Vladimir Putin. 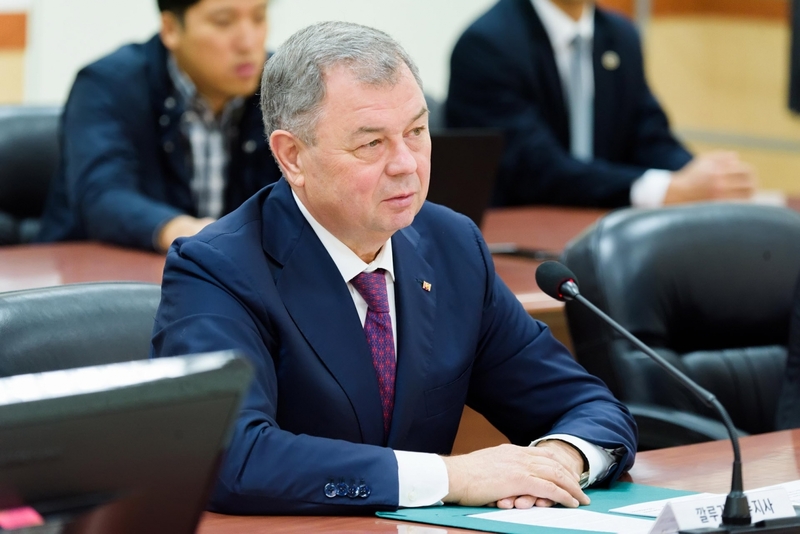 Anatoly Artamonov also highlighted efforts applied jointly with the management of the plant to promote Russian-Chinese New Silk Road Project, which is important not only for cutting logistics costs for Samsung Electronics Company, but also for enhancing mobility of the supplies of final products to West-European countries. 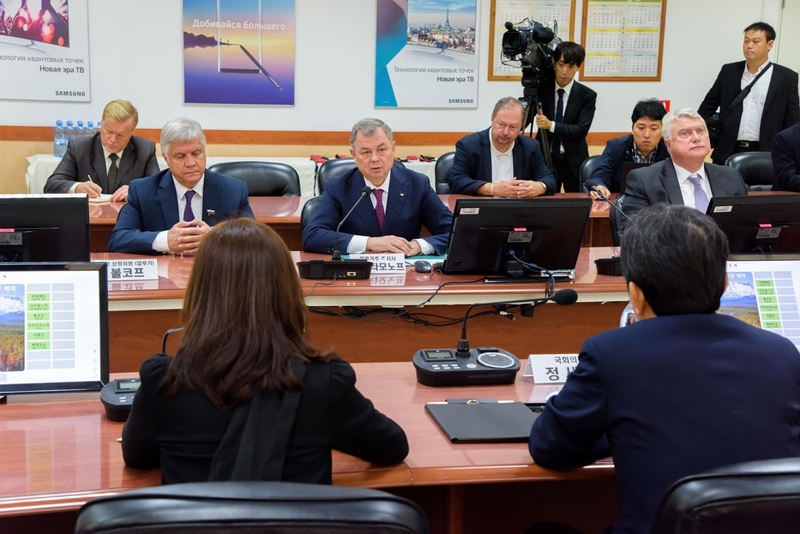 The Governor of the Region expressed interest in expanding business ties with Korean partners and informed that he plans to visit the Republic of Korea in late October in order to present investment potential of Kaluga Region and new opportunities for the development of joint business projects. “President Vladimir Putin pays great attention to the expansion of business ties with the countries of South-East Asia, and, in particular, with Korea. 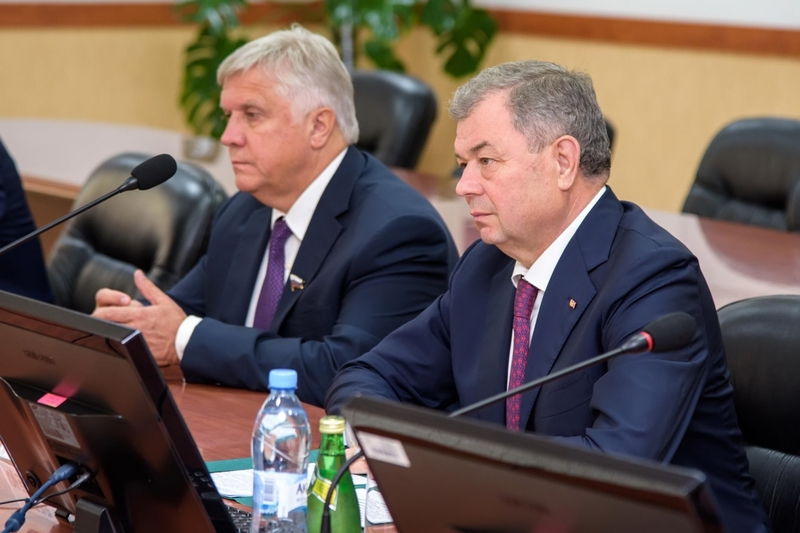 I am glad that Kaluga Region makes its input in this cooperation”, - Mr. Artamonov stated. 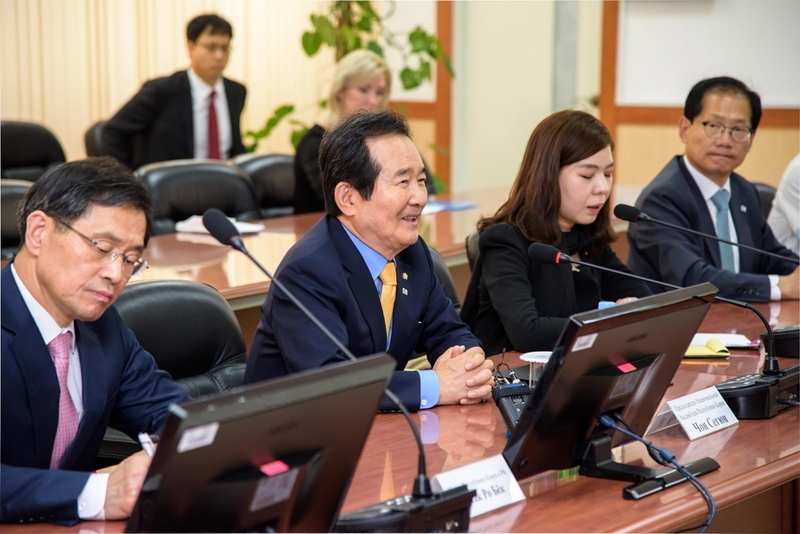 In his reply, Mr. Chung Sye-kyun, Speaker of the National Assembly of the Republic of Korea thanked the administration of the region for creating comfortable conditions for business and for active assistance in establishing joint production businesses with Korean partners. “I am happy to hear that the products of Samsung Electronics Rus Kaluga are very much popular among Russian customers. It would be great if we manage to attract even more our companies to Kaluga Region. 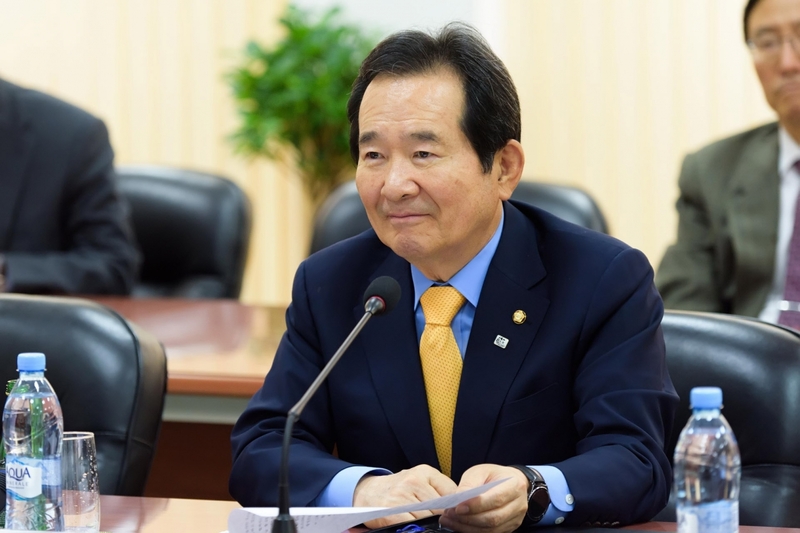 It will certainly promote strengthening and further development of Russian-Korean ties”, - Mr. Chung Sye-kyun noted. Mr. Yuri Volkov, Member of the Federal Council of the Federal Assembly of the Russian Federation, Mr. Vladimir Potemkin, Vice-Governor, Mr. Dmitry Razumovsky, Minister for Economic Development of the Region, Mr. Ilya Veselov, Head of the Administration of Borovsk District and Mr. Li Hvan Kyun, Director General of Samsung Electronics Rus Kaluga LLC also took part in the business meeting.